The Midwest radio Corporation, founded by E.G. Hoffman, had its beginnings as early as 1920. Headquartered in Cincinnati Ohio, they basically produced the entire radio in their factory (or laboratories as it was called) including the cabinets and the winding of their own transformers and coils. The company hit upon the idea of selling their products by mail order directly from their laboratories thus eliminating the middleman markup and saving the consumer money. By offering credit terms, trade in allowances, free home trials, gifts, user-agents and other incentives, the company appears to have been quite successful claiming over 120,000 customers by 1936. It does appear that sometime after World War II sales started to decline as it did for many mail order business and by 1957 or there about, the company ceased to exist. 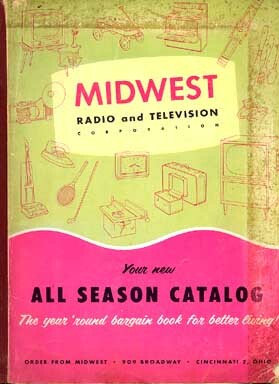 Shown here is the 1956 Midwest Radio and Television catalog. The catalog is similar to Sears or Montgomery Wards in that they are offering many home products such as luggage, jewelry and, appliances at discount prices. No Midwest radios are shown and only a few Midwest televisions. Obviously a last gasp effort to stay in business. 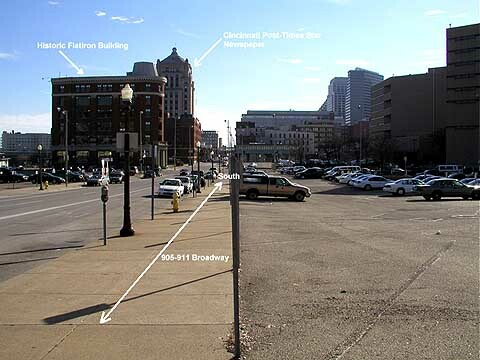 Today the huge Midwest Radio Company laboratory is gone and a parking lot has taken it's place. 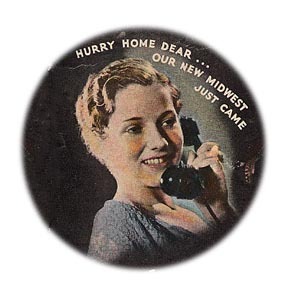 From their early battery and electric sets to the introduction of television the Midwest Radio company kept abreast of the latest radio developments. Cabinet styling was often dramatic and innovative and some design features held US patents such as the 1936 'V-Front' which incorporated sound diverting louvers placed behind the speaker grille. Another company feature was that a customer could purchase a chassis and matching speaker only, no cabinet. The chassis came with an integral faceplate which allowed for easy installation into the customers existing cabinet. This helps explain why it is not uncommon to find a Midwest chassis mounted in a cabinet of a different make. 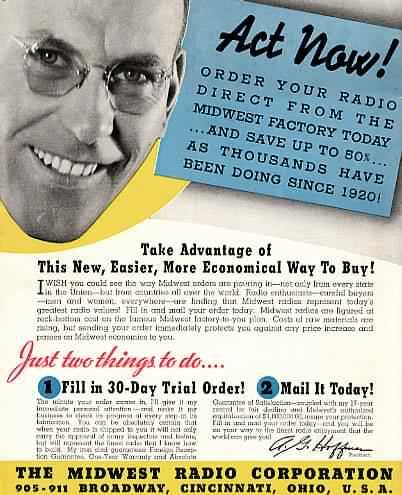 Midwest radios were inexpensive compared to many other makes. 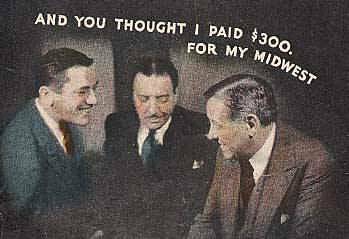 For example, an 8 tube 1937 Zenith console may have a suggested price of $89.95 The catalog price of an 18 tube Midwest console started at just $89.50 complete. Heavy advertising like this one gave the impression of an extremely low price due to the fact that it was a bit misleading. In this ad, one has the impression that the set pictured is $39.50 but that price is for the chassis and speaker only, not the complete console shown. I'm sure that other radio companies did the same thing. 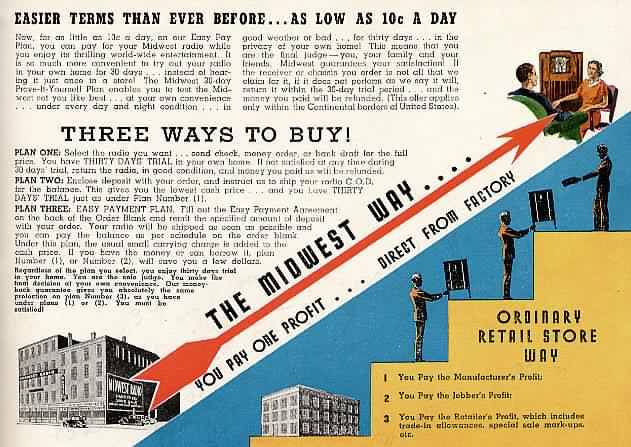 Midwest also offered low priced radio specials from time to time. 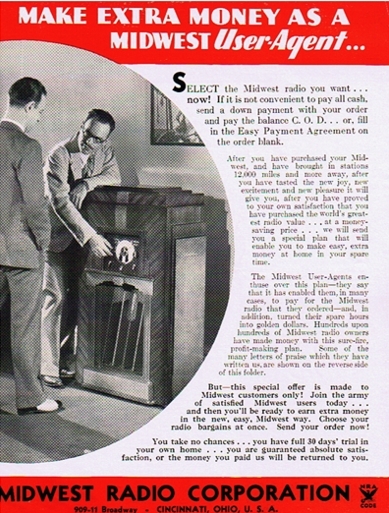 For instance, in a "Special Sale" mailer sent to prospective customers, selected 1938 cabinets fitted with 1937 chassies were "available for a limited time only". I have also seen examples of current model year chassies fitted into prior year cabinets. 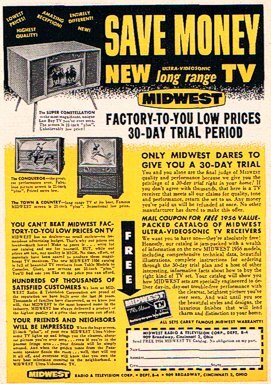 These specials seemed to be a way to use up left over cabinets and chassies.Obviously there had to be some shortcuts for Midwest to be able to sell a radio set for such low prices. I have found that much of this was in the cabinet. While a wide variety of exotic wood veneers was used to produce outstanding looks, the cabinet construction was quick and dirty. For instance, there are usually no screws used in the construction of the cabinets, just glue and nails. The extensive use of dark colored lacquers on corners hide exposed edges of the plywood panels and nail holes. 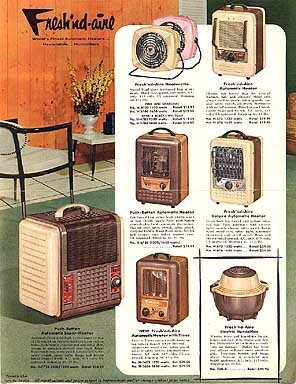 The lacquer finish was also thin in comparison to that of a Philco for example. Other money saving techniques were no dial glass and usually a minimum of parts used in the chassis design. A word on electronic and chassis design. Through the years I have heard radio collectors say that many of the tubes in a Midwest served no purpose and that some were not even connected. I have never found this to be true; each tube has a purpose. Granted it may be a duplicate function such as 2 rectifier tubes or 4 tubes used in the output stages, but all do something. My usual response to the comment "you can pull out some of the tubes and it will still play" is to ask if they have ever tried the same thing with a big Scott or 15 tube Zenith. This makes them think because, it will still play too! Agreed, the Midwest was not necessarily the highest quality radio but nor was it the worst. It was I believe, a great bargain for the money offering many features available only in much higher priced radios of the time. I know many collectors that will tell you their Midwest performs as good or better than any other set in their collections.